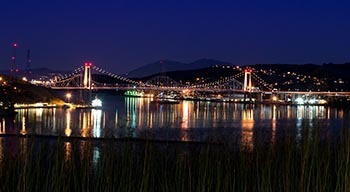 The Carquinez Bridge in Vallejo. The national housing market is still scorching as summer comes to a close, and a Bay Area suburb again tops the list of the hottest places for homebuyers and sellers. That’s from Realtor.com’s latest monthly analysis of the country’s 20 most in-demand real estate markets based on the quickest pace of sales and most listing views on its website. The U.S. housing market is having its best August in 10 years, with homes selling 2 percent faster than they did one year ago. Nationwide, home prices hit an all-time high for August, rising 8 percent on an annual basis to $250,000. According to Realtor.com Chief Economist Jonathan Smoke, the company’s website traffic also rose to a record high in August, although overall buying activity is tapering off, a typical seasonal pattern that creates a window for buyers who have been unable to seal a deal in what has been a very busy summer. 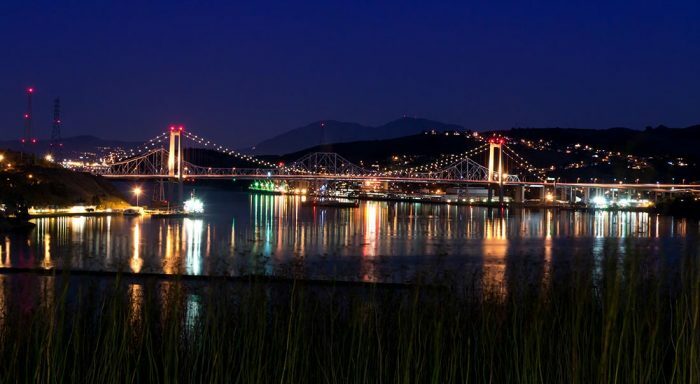 For the fourth consecutive month, the Vallejo-Fairfield metro area sits atop Realtor.com’s list of the most-in demand real estate markets, having dethroned San Francisco in the spring. Solano County is by far the Bay Area’s most affordable enclave, with a median single-family home sales price of $381,000 in July, according to a report from the California Association of Realtors. San Francisco retained its previous month’s spot on August’s list, holding down the No. 4 position. CAR’s data puts the median San Francisco single-family home price at $1,362,500 in July, making it the Golden State’s most expensive real estate market. Along with San Mateo County, San Francisco has California’s largest housing inventory constraints, with a 2.1-months’ supply in July. California cities continue to dominate the hot-markets list, accounting for more than half of this month’s representatives. Stockton again ranks No. 5, followed by San Diego (No. 6), Sacramento (No. 10), Yuba City (No. 12), Modesto (No. 13), San Jose (No. 14), Fresno (No. 15), Santa Cruz (No. 17), and Santa Rosa (No. 19). Next PostNext Why Are So Many Alameda County Homes Selling Above Asking Price?